It's really a shocking news hearing that the much anticipated event has been cancelled for 2013. Some of the designers received press release from AMFW Team, informing them that the show will not be holding due to some logistics and visa problems. Read the full press release below. “The AMFW teams were in meetings all day yesterday regarding the show as so many designers are experiencing problems in regard to shipping, vaccinations, logistics, visas, getting the collections ready, etc. Arise proposed to bring 50 designers to Lagos, however, due to the tight deadlines most people are finding it very difficult to participate this year. 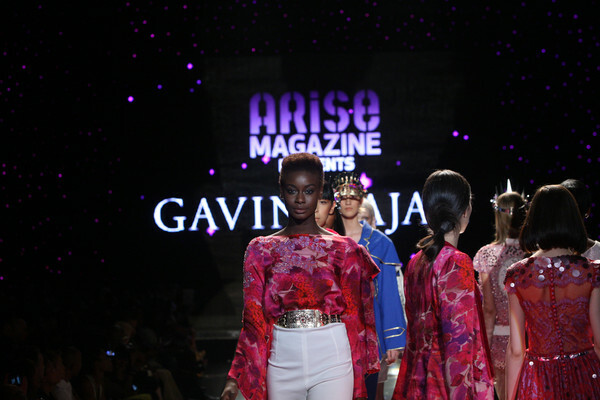 After much deliberation, the ARISE Magazine Fashion Week management regrets to announce that its proposed AMFW 2013 event, scheduled for March 28-1 April, has been postponed due to technical and logistical reasons. In its place we are announcing TWO shows; the first will take place during IMG Mercedes-Benz New York Fashion Week from 5-12th September 2013, showcasing Spring/Summer 2014 collections; and the second event will be the annual AMFW – Lagos 2014, to celebrate Nigeria’s 100th Anniversary. We would like to thank you for your patience, time and interest in participating in the March event and we sincerely hope that you will wish to participate in one of our forthcoming televised events. The AMFW team is keen to work in collaboration with each brand to ensure a smooth process. Should you have any further queries or questions, please feel free to contact us at: designers@ariselive.com. Well, there you have it! We look forward to who get picked to show in September, and of course, Nigeria’s 100th Anniversary Celebrations.